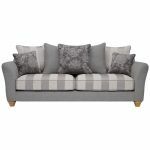 The Regency 4 seater large sofa boasts intricate styling and high quality construction details. 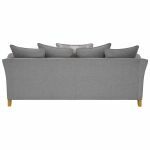 It has wide, deeply padded arms, which flare out gently to maximise the seating area. 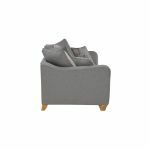 The seats themselves are supremely comfortable, thanks to our exclusive plump free cushion, which also allows for easy maintenance. 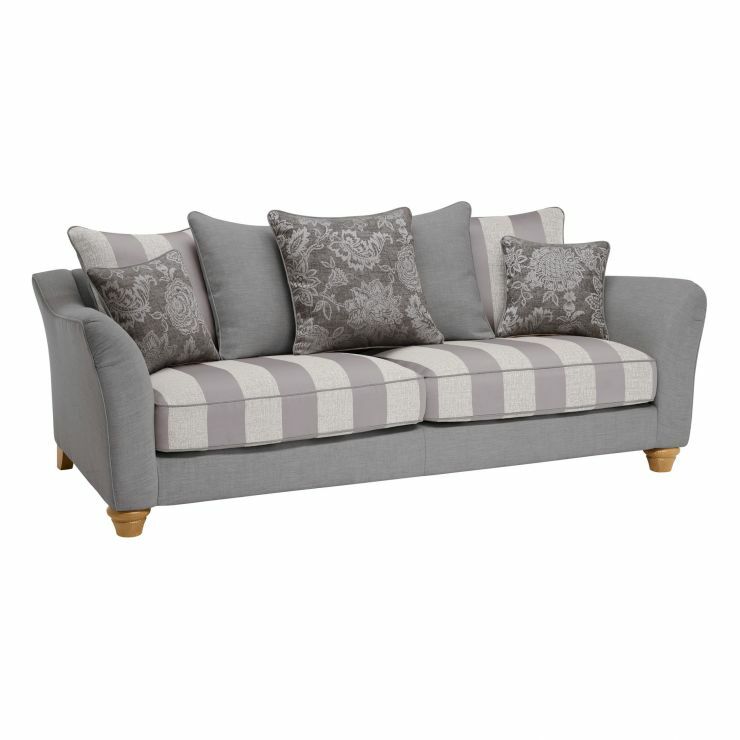 Regency is characterised by it's fantastic pillow back design with striped seat upholstery. 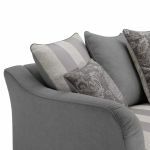 The pillow feature a range of high quality patterned fabrics for a traditional look. 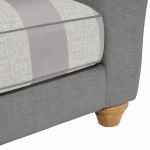 The sofa is completed with beautiful turned solid oak feet. 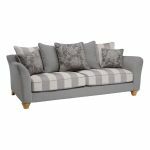 Browse the full Regency range today to see all available styles and colours.